The UK / Swedish Band, Hang Massive, are the world’s most well known Hang and Handpan players with over 100 million music video views. Their latest offering, the 2018 album Luminous Emptiness takes you on an epic inner journey musically and visually and will be performed alongside the tracks that are enjoyed by a global audience daily. The band’s live show is constantly being refined and will include amazing new visuals rooted in timeless wisdom teachings, triggered sound effects and samples, complementing the Hang’s rich sound. 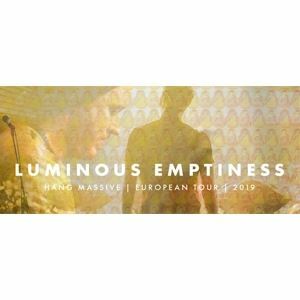 The European leg of the Luminous Emptiness tour will perform in around 50 cities.